Can't believe how rainy and grey its been recently. Obviously, it doesn't stop Jakie from running around outside and jumping through the puddles- the mop is my best friend at the mo'. 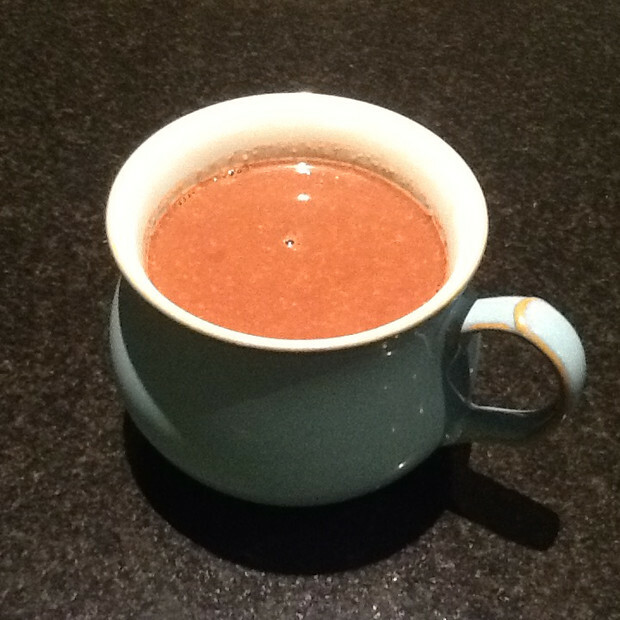 Was working in the office yesterday wrapped up in a thick cardie and my fluffly slippers and thought "right, time for some indulgence", so here it is: the recipe to our lovely superboost hot chocolate. If you feel really naughty you can drop some marshmallows into your cup- delish!